I was looking through my Facebook memories yesterday and a photo popped up that kind of took me aback. Someone had asked me to take their portrait, and while I didn't feel qualified, they insisted, and so I said I'd do my best. So I strung up a very wrinkled white sheet, pulled out some construction work lights, and used whatever little very basic, consumer-level camera I had at the time to take what I knew were quite mediocre photos. Christmas Mini Sessions for EVERYONE! Are you ready for some adorable mini-sessions?! Well, I'm ready for YOU! For the next couple of weeks, I will hold in-studio mini sessions in my little studio in Charm for just $30 per session! This is perfect for that quick photo for your holiday greetings, social media, or to hang on Grandma's fridge! The 15-minute session includes two to three edited, digital photo files with printing rights and special pricing on prints. Each photo can include up to four people (up to two adults and two kids, or up to four kids). Sessions must be paid in advance. $30 per session. Appointments are tentative until confirmed by Sprouted Acorn Photography. If you receive SNAP benefits, use offer code SNAPME17 to schedule your SPECIAL! 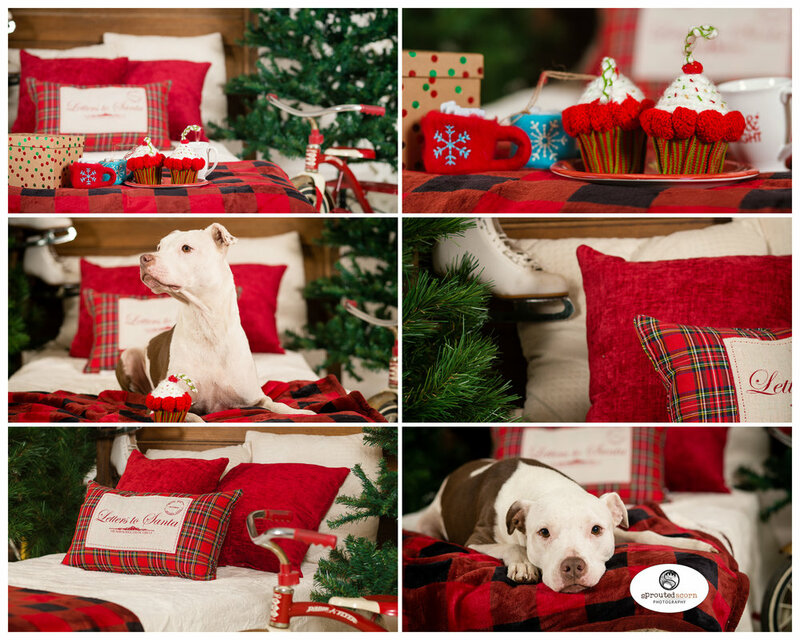 Holiday Mini Sessions at Sprouted Acorn Studio! for FREE! Must present SNAP card in your name at time of shoot, or photos will not be released. Click Here to Book Your Holiday Mini NOW!